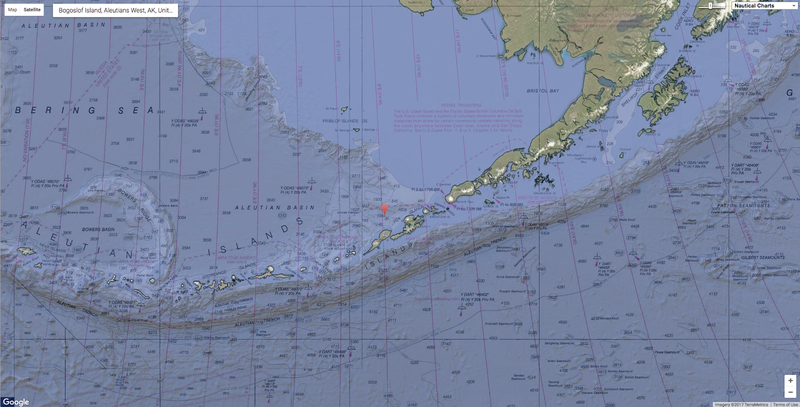 Bogoslov Island has a Russian sounding name and indeed belongs to the Aleutian Islands, Alaska which was sold by Russia to United States in 1867. It is actually the summit of a stratovolcano 1800 m height from the seabed and emerged from the ocean in late 1800 after an underwater eruption and since then has been continuously changing its aspect and contours after each volcanic activity. Current status of Bogoslof Island as acquired by Sentinel-2 in October 2017, the volcanic activity is visible as mud water streams on the East side. The Island visibly changed its shape after the eruption occurred in December 2016 and the geographic maps (including Google Maps) need to be systematically updated to reflect the actual morphology of the island. 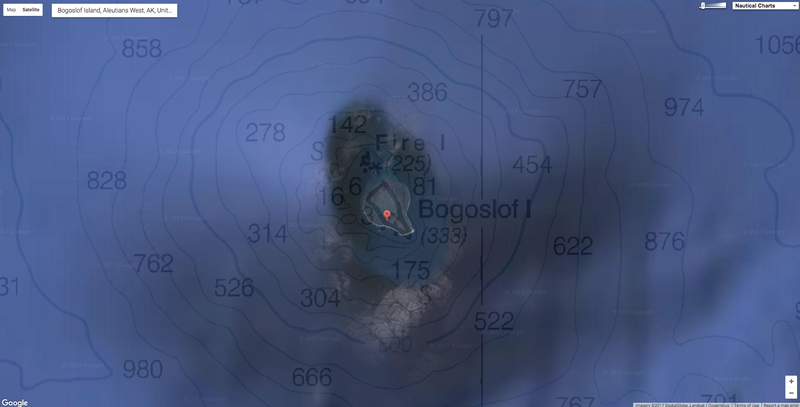 In March 2017 Bogoslof was 0.98 km2 (in December 2016 was 0.3 km2) in size forming into a large circular island around the central vent, and seems to continue to grow. Bogoslof island is also an important sanctuary for sea lions and nesting marine birds being a breeding site for seabirds and many species of seals. The Ferdinandea Island guarded by a British ship in a old painting. An analogous island appeared in similar circumstances between Sicily and Tunisia in summer 1831 after a submarine eruption and was called Isola Ferdinandea (Italian) or Graham Island. The event caused an international dispute amongst France, UK and Kingdom of two Sicilies over its sovereignty due to its important strategic location in the middle of the Mediterranean Sea. “Fortunately”Graham island disappeared beneath the waves again in early 1832 and since then still remains at 6 m under sea level.